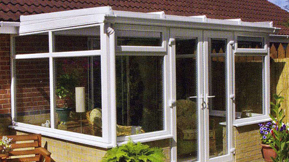 AK Windows are experienced in both product development and customer service. It's no surprise then that month after month Hundreds of happy customers are able to enjoy the benefits of quality products that meet high and exacting British Standards. With the additional security features and the peace of mind of a ten year guarantee, there's no wonder that so many people choose AK Windows. We are based in Wolverhampton and covers whole west midlands, AK Windows are specialised in any kindof Windows replacement, upvc doors and conservatories with one of the best prices in area. Our motto is to provide quality product and service at low price. Thanks for visiting our website, if you want to make a appointment with one of our designer please fill this form.